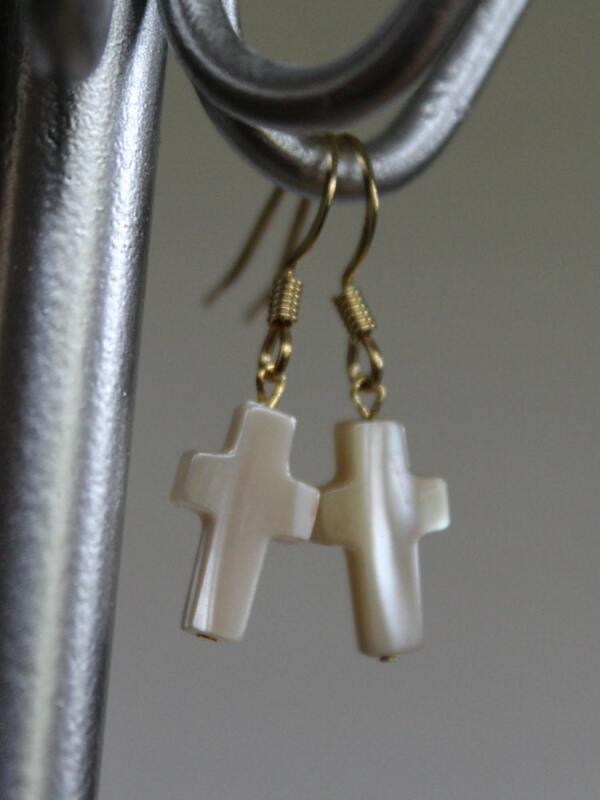 These mother of pearl cross earrings are pure, simple, and light in weight. They are made with gold colored ear wires. The cross beads alone are approximately 15 x 8mm. These would make a wonderful gift for a teen or young adult because of their size. 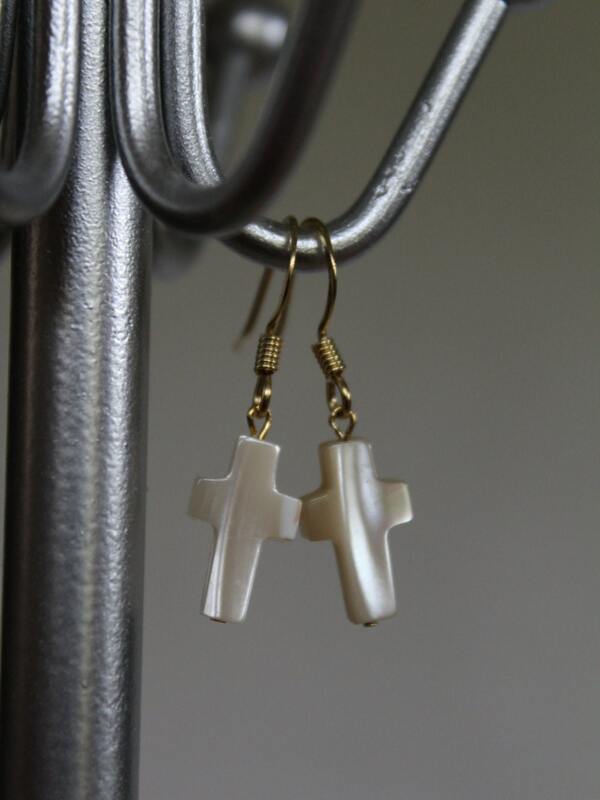 They are also wonderful for that person who likes simple jewelry that goes with everything!